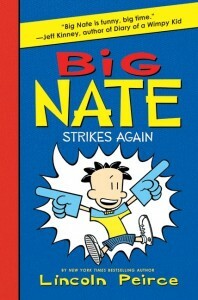 "BIG NATE will surpass all others! But it won’t be easy. He’s stuck with Gina, his all-time enemy, in a class project for his least favorite teacher Mrs. Godfrey, aka Godzilla. To make matters worse, Gina ALSO ends up on his fleeceball team, right when Nate is set to win his first fleeceball championship ever. This is his moment for glory, but Gina's sure to steal his thunder, or ruin everything. 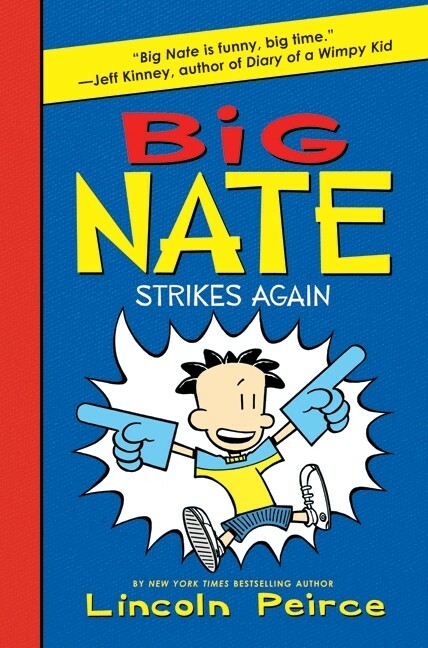 Follow Big Nate's adventures in 6th grade as he deals with being partnered with his archenemy Gina for a special project and defeating the school bully Randy in the SPOFFY games. This story uses both traditional text and comic strips to tell funny realistic tale in the style of The Diary of A Wimpy Kid. If you like comic strips, funny stories, or Ben Franklin then this is the book for you!